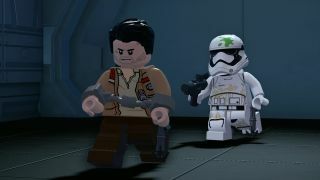 Carbonite Bricks are a new addition to the Lego games, specifically tailored to the Star Wars theme. There are 35 to collect and you can unfreeze them back at the D'Qar base to unlock special characters. Each one you pick up will also net you a Gold Brick. The bricks are hidden throughout the hub worlds, and here's where you can find them.